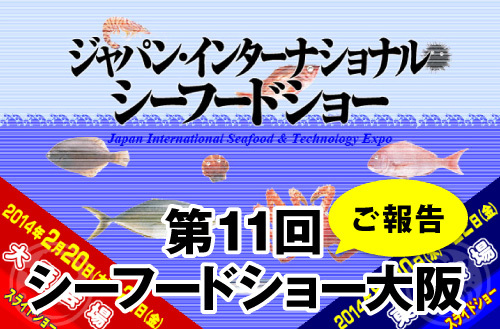 Osaka Seafood Show was held on Feb 20th and 21st, 2014. 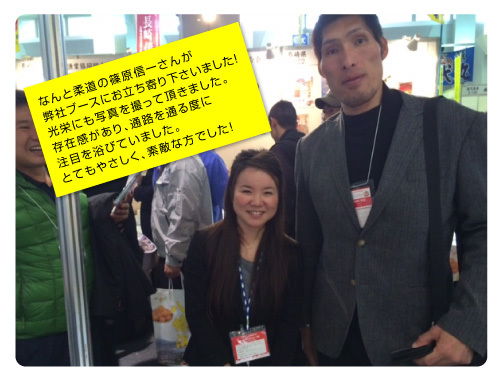 Here’s a report on our exhibition. 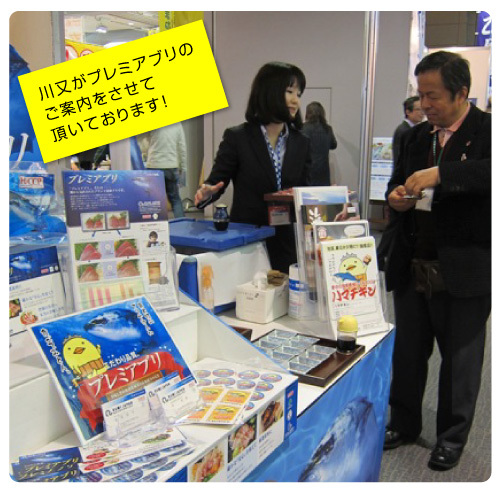 We exhibited Yellowtail sushi, sashimi and Buritoro Cutlet as well as our new product, Hamachicken. We also introduced a new product, the “Kaikyo series. 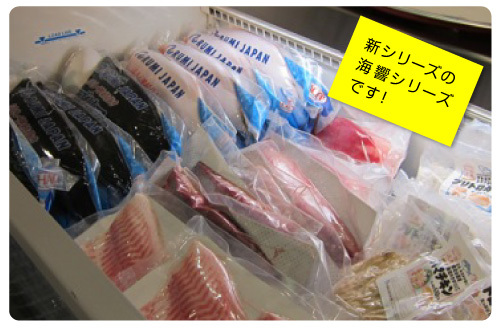 Thanks to the development of freezing technology, “Kaikyo series” was well received as an innovative product, with minimal color change of the product after freezing and thawing. Many business meetings were held in the annex and we met many new customers, as well as our existing friends. 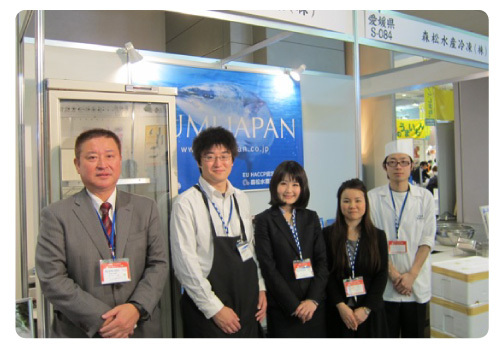 We are so grateful for the opportunities to meet them and strive to deliver ever better products. 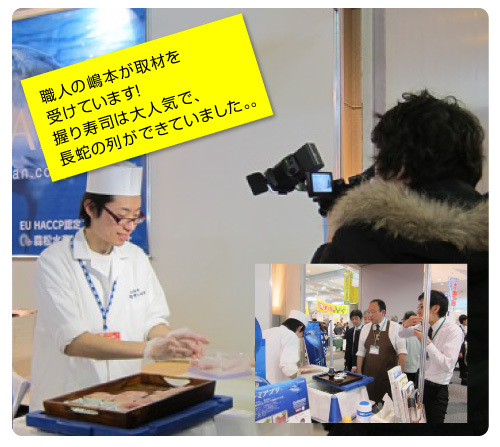 We will be exhibiting at the Boston Seafood Show next month, and will report to you again with photos and stories! Please take care! P.S. 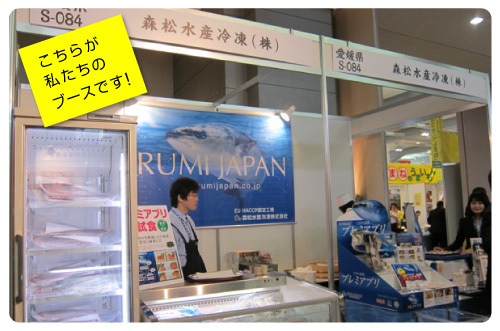 Please visit our FB page at https://www.facebook.com/rumijapan and Like our page!